We are the diverse community of FBCB. We are families. We are singles. We are married and partnered couples. We are gay. We are straight. We are blind. We use canes. We use walkers. We are Boomers, Busters, and X-ers. We are toddlers. We are teenagers. We are veterans. We are resisters. 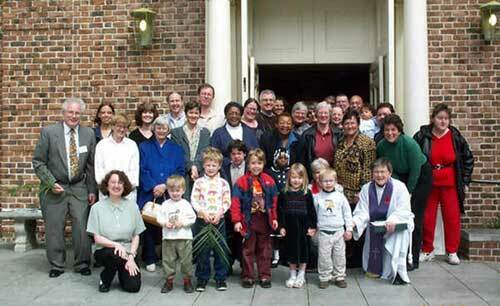 We have been Baptist, Catholic, Episcopalian, Jehovah's Witness, Mormon, Buddhist. We grew up unchurched. We grew up churched. We grew up liberal. We grew up fundamentalist. We come from many nations and many ethnic backgrounds. We are Trekkies. We are not. We have a web page. We are on e-mail (FBCBerk@aol.com), and we are a loyal American Baptist congregation. Coffee Hour - 11:00 a.m.
2nd Hour Forum - 11:30 a.m.
Children's Sunday School - 11:30 a.m.